Life is Strange: Before the Storm has this difficult task of appealing to fans whilst lacking a crucial gameplay element seen in the original Life is Strange. 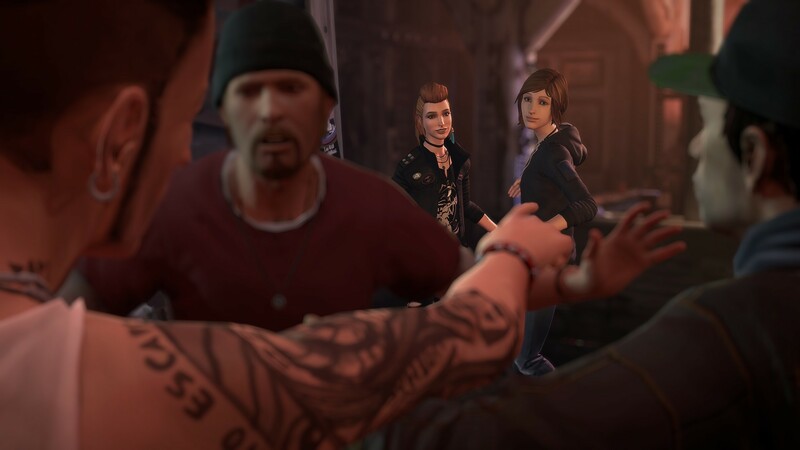 Whilst Episode One’s storyline of the prequel game manages to retain its charm, a new mechanic, described as ‘Backtalk’ does not manage to meet the standards set by the 2015 Life is Strange season. The ‘rewind’ mechanic in the original Life is Strange was such a fitting and innovative feature for an episodic game. Players were granted the ability to make a choice within the game, see its consequences, and then reverse it to make an alternative decision. Before the Storm however tells a prequel story before Max – the original protagonist – was able to reverse time. Instead, Before the Storm follows Max’s best friend Chloe and her relationship with popular classmate Rachel. There isn’t a science-fiction element to this storyline, instead there’s an inspiring tale of teenage drama. This is fine, the story can be melodramatic at times, but its a fitting perspective in the life of a teenager. The main issue lies with the replacement ‘Backtalk’ mechanic. Backtalk can get yourself out of sticky situations – but it’s too simple. In certain situations, Chloe can ‘Backtalk’ and use her teenage angst and rebellious attitude to manipulatively yell at someone to do what she wants. It requires the player to correctly respond to the conversation based on key words from the previous dialogue. Potentially, this could be a realistic and tense element into teenage behaviour. Unfortunately, the correct responses to ‘win’ the conversation are too predictable. It plays as a mini-puzzle, but it gives away too big of clues for it to be a challenging system. Hopefully, future episodes will have more of a risk with some of the dialogue options you choose. Regardless, the game is still an effective episodic adventure. The storyline still manages to trigger emotional scenes and the game doesn’t feel like its dragging on, despite being a prequel. The teenage drama can be too much at times, but it works thanks to the great writing of characters Chloe and Rachel. Life is Strange: Before the Storm Episode One is out now on Playstation 4, Xbox One and PC. Prev Wet Hot American Summer: Ten Years Later – More absurd, less compelling.